NYC artist Jenevieve Reid has always been inspired to make art. She says “I’ve always been an artist. 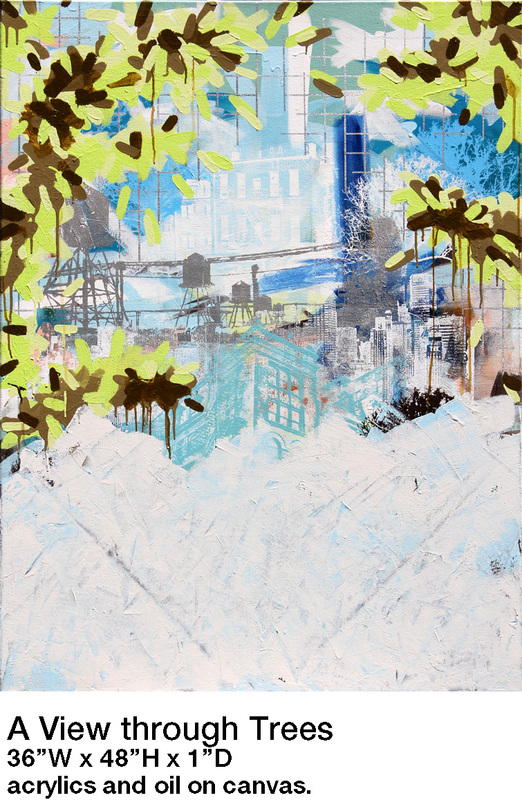 Instead of outgrowing it like most, I embraced Art.” Reid studied painting at Cooper Union School of Art experimenting with a more academic photo-realistic style, landscapes, and even some public street art. 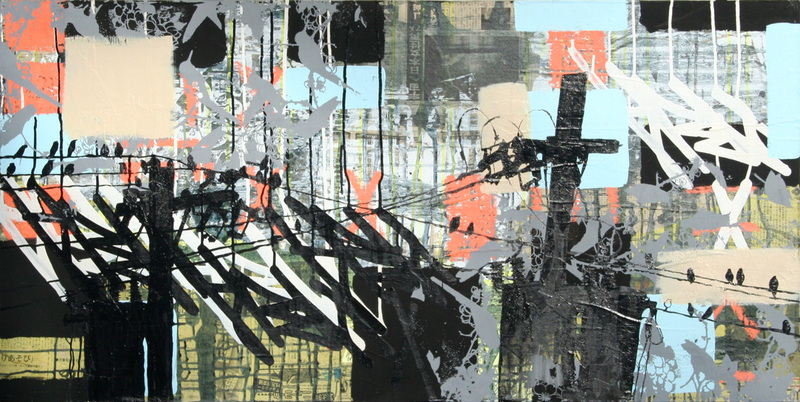 She ventured in many different mediums and has embraced abstraction in her recent work which combines techniques including silkscreen, painting, stencils, and collages. Reid says “Balance is always an underlying theme” in her work with an interest in “human creations coexisting with natures creations” artfully done as she sees fit. Nature has intrigued her the most and she believes it is the basis of everything around us, which corresponds with her expressionistic pieces in the organic treatment of brush strokes juxtaposed with silk screened urban man-made images and images from nature. Each aspect of her art is thoughtful to this idea of our natural surroundings being essential to the vitality of mankind. 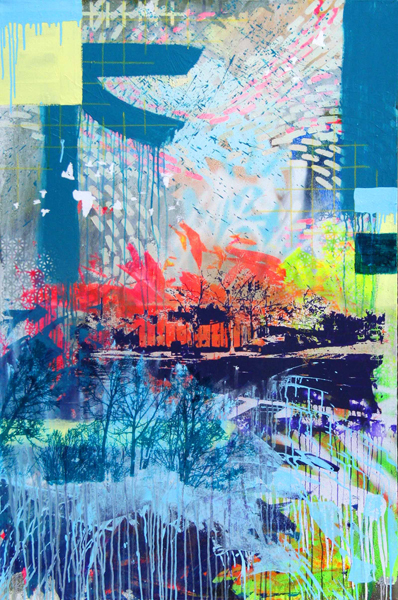 Reid produces pictures that are visually engaging with an audacious color palette and images that adapt naturally together, adding an inventive twist to the characteristic mixed media works. She explains that she hopes her art will“prompt viewers to take interest and possibly responsibility in the land they live on and the air we breath and to understand how closely their existence is tied to nature.” Her work will be on exhibit at SPARKBOOM’s “Post No Bill” event, August 24th 6-8pm at the Huntington Arts Council.